You might do a walkthrough when you buy a house, but you should do a “crawlthrough” when you buy a boat. It’s critical to have a well-qualified surveyor examine the boat. 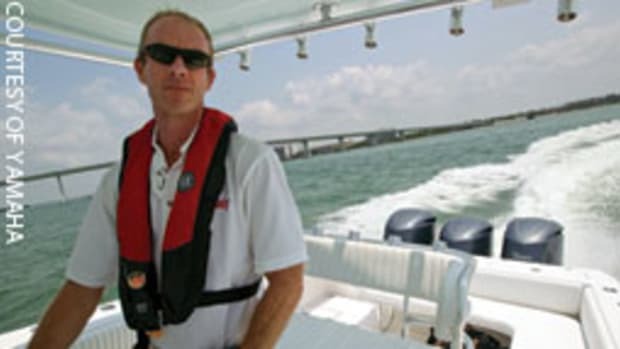 But if you know some of the things to look for first, you can narrow your prospects so the surveyor looks at the boat you’re most likely to buy. Keep a list of everything you observe. You’ll be in a much better position to discuss the boat with your surveyor and perhaps talk further about price with the seller. 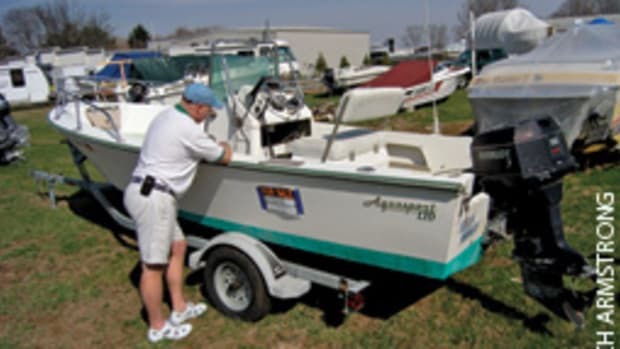 There usually are safety issues while examining any boat, such as the risk of electric shock. Don’t take any chances while you’re looking; take an experienced friend if necessary. Learn the boatbuilder’s theories of construction and evaluate the execution of the techniques used. 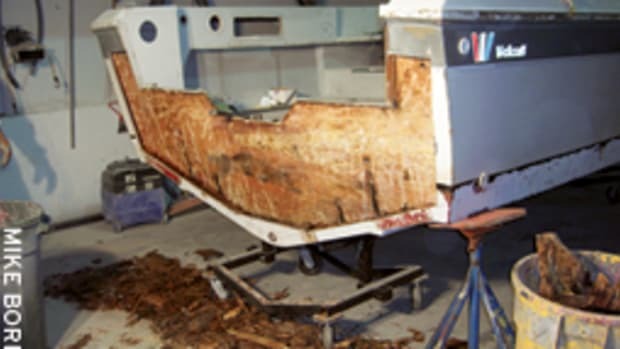 If it’s a used boat, learn as much as you can about how well the former owner cared for the boat and how much he or she knew about boat maintenance. Evaluate whether the boat will suit your purpose. If you just want to race around the buoys on Wednesday evenings with a bunch of friends, you may not care much about creature comforts below. But if you want to cruise with your family, you’ll want to pay more attention to the cushy stuff. 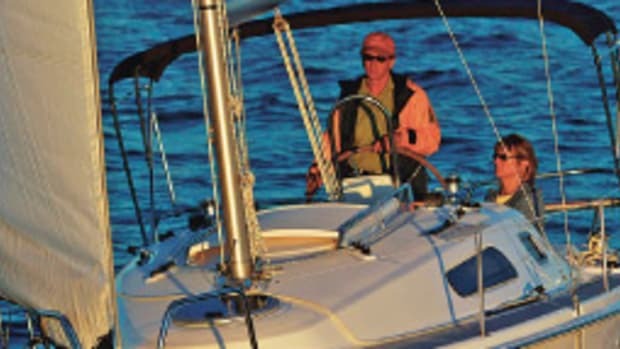 There are many things you’ll need to consider, depending upon the boat and circumstances. Each boat is its own nest of vices and its own source of pleasure. Check every space you can find. 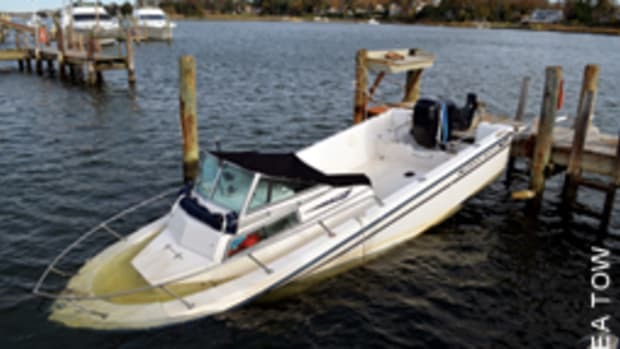 Satisfy yourself and a qualified surveyor that this is the right boat for you. To help get you started, here’s a basic checklist of areas to address during your crawlthrowugh. Of course, some of this will also apply to powerboats. 1. Safety first: Boats can harbor dangers that can injure or kill when you crawl through them, such as electrical shock risks. 2. Keel/hull joint and bolts: Check for the grade of metal. Mild steel is not good. Are there signs of leaks or stress where bolts come through the bottom? 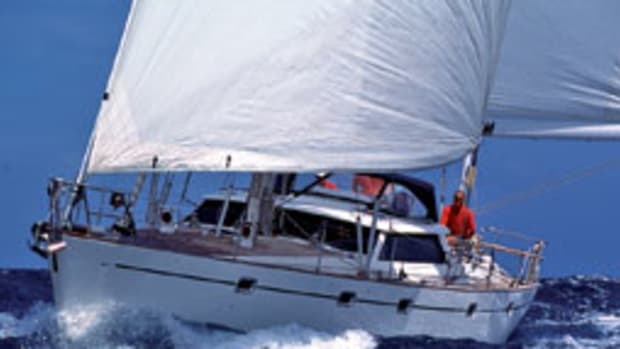 Check for signs of stress where the keel joins the hull, even if the keel is integral to the hull. 3. Hull-to-deck joint: Determine the method used on the boat and look for signs of leaks. 4. Rigging: Have a professional check it. If water has been trapped against stainless fittings, as by improper taping over cotter pins, be suspicious. 5. Chain plates: Examine them for stress and corrosion where they attach to hull and rigging, and check the method of attachment to hull. 6. Rudder: Check for signs of stress where the shaft enters the hull. Look for water dripping from inside the rudder while hauled. Rusty water indicates that the inner supporting web isn’t stainless and has deteriorated. Tap for sounds of delamination. 7. Lifelines: They should be high enough, not corroded, and have well-mounted and backed stanchions. 8. Deck hardware: Hardware should have adequate backing plates with easy access. Bolts and screws shouldn’t go through coring unless the core is properly sealed against water intrusion. 9. Leaks: Look for signs and causes of leaks, especially at stress areas and around port lights. 10. Machinery and through-hulls: Inspect for access and condition. Check hoses and clamps, including exhaust. 11. Steering system (access and condition): If steering is cable, include each pulley. If hydraulic, check the entire line, ram and pressure gauge. 12. Equipment: If safe, operate everything. 13. Wiring: Kill all power, then look for corrosion, overheating and loose terminals. 14. Bilge sump: It must contain water when the boat is heeling and be easily accessed for pumps, intakes and float switches. 15. Mast step: Determine the method and condition. 16. Fuel tank: It should be easy to inspect and repair, and in good shape. 17. Interior spaces: The boat should be comfortable for living. 18. Hull support: Determine the method and condition. 19. Doors, drawers, hatches: These should open easily but stay closed when sailing in a stiff breeze. 20. 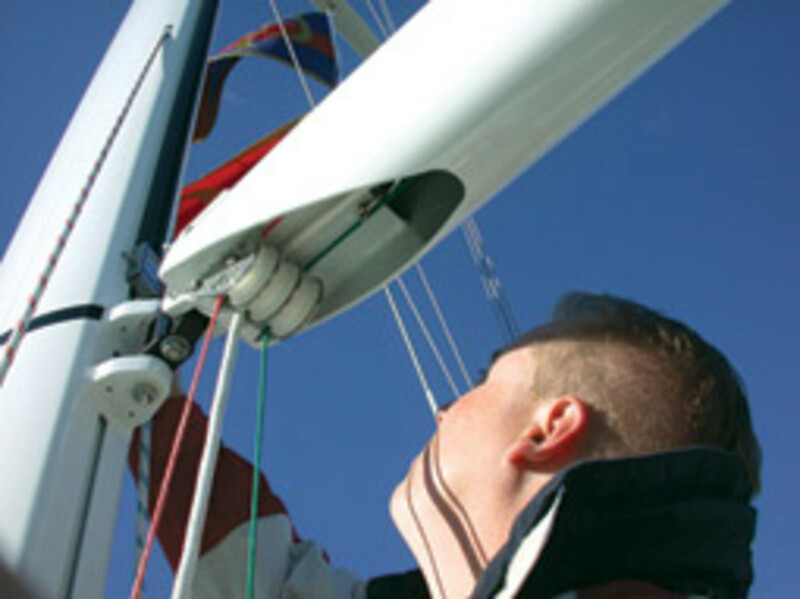 Sails: Check the condition of the sails and equipment such as winches. 21. Anchor: Deploy and retrieve it if possible, and check the gear and setup.